Looking for family holiday ideas? Here, I select the best holidays for your family in 2019. You’ll find dozens of summer holidays with kids on this page. All the holiday companies featured here are personally recommended. You can also find more detailed advice if you have a baby, toddler, teenager or more than two children. Or if you’re planning a multi-generational holiday with grandparents. Note: all the travel companies featured are personally recommended by our editors. 1. It’s hard to beat Devon for family holidays. I recommend renting a cottage in and around Exmoor or Dartmoor if you want to explore those beautiful National Parks. For seaside fun, head to the South Hams. 2. Young kids will really enjoy these holidays on working farms. They can bottle-feed the lambs, collect the eggs and help milk the cows, and there’s a choice of locations in Devon, Cornwall, Dorset, Somerset and The Cotswolds. See the latest special offers. 3. The New Forest offers gentle cycle rides, walking routes and attractions – from Peppa Pig World to the National Motor Museum. Check out these luxury family homes. Or hop over the Solent to the Isle of Wight which is becoming fashionable again for families. 4. Rent a cottage in Cornwall and you can explore surf beaches, rock pools and family-friendly attractions, with a choice of stylish seafront apartments and fishermen’s cottages. There are some great special offers. If you don’t want to leave behind your pet, check this collection of more than 200 dog-friendly cottages around the UK. 5. Children between 7 and 17 can head off to summer camp with Kingswood Camps which has locations in the UK and France and more than 80 adventures including quad-biking, caving, kayaking, zipwiring and archery. There are dedicated camps for teenagers too. 6. I’ve discovered some wonderful family-friendly hotels around the UK. I love Gwel an Mor in Cornwall which has its own wildlife centre and luxury wooden lodges. 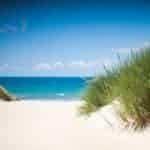 Also in Cornwall, the Sands Resort Hotel is perfect for kids of all ages (see their latest offers). 7. What child would not enjoy the Merton Hotel in Jersey? It’s among the UK’s most family-friendly hotels with a weather-proof Aquadome complete with swimming pools, slides and fountains, plus a large outdoor pool complex, a learn-to-surf Flowrider and child-friendly evening entertainment. Stay in a spacious family suite or serviced apartment. 8. If you want to go on holiday with friends, you could get together to rent a large property. You can find some superb large houses in the UK and abroad at The Big Domain. Some very grand houses in private grounds are very reasonable when you divide the cost between a few families. 9. Renting a boat or barge to explore some of the UK’s most beautiful rivers and canals is a fun family holiday and great value. Waterways Holidays provide full tuition so you don’t need any experience at the helm, and you can choose from 1,600 boats across the country. 10. If you’ve never tried a family holiday in the Lake District you’ll be knocked out by the region’s natural beauty. It’s ideal for children of all ages, whether you have teenagers keen to conquer peaks and explore slate mines, or toddlers who want to paddle in lakes and ride steam trains. Find self-catering accommodation at Sykes Cottages. 11. Looking for something different? How about sailing the Hebrides in a small crewed boat sleeping six to eight passengers. Explore the beautiful islands of Mull, Jura and St Kilda, and go fishing and swimming, set lobster pots and see dolphins, basking sharks, otters and sea eagles. 12. Two more regions of the UK that work well for cottage holidays: Norfolk and Northumberland. 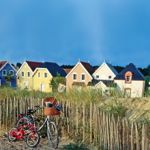 Check out these places to rent on the coast of Norfolk and the popular resorts of Bamburgh and Alnmouth in the North East. 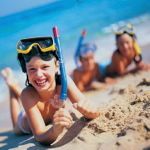 * If you’re by yourself, try this inspiring selection of single parent activity holidays from Single With Kids. * If your child is under 18 months old, see my baby holiday ideas. Also, see my full guide to the best family holidays in England. 1. For a cheap family holiday in Europe with sun, sea and lots of activities for kids, stay at a holiday parc in France. I recommend Siblu which has everything on site to entertain children of all ages and some great special offers. See more of our favourite family holidays in France. 2. Most people associate Spain with the Costas, but Northern Spain has beautiful unspoilt beaches, rolling countryside, mountains and historic villages. You can fly there or take an overnight ferry, and stay in one of these villas with private pool. 3. If you want a classy Mediterranean hotel that takes great care of children, I recommend Puglia in southern Italy. Head to the award-winning Borgo Egnazia which has indoor and outdoor pools, a luxury spa, 18-hole golf course and exciting kids club for ages 3-12. 4. If you want to recapture the heady days of youth – but with kids in tow – check out the Nobu Ibiza Bay Hotel, a stylish new bolthole with activities for children including cooking and DJ classes. 5. I rate Corsica as one of the most beautiful islands in the Mediterranean, yet few Brits know it well. The beaches are superb, and ideal for young children. I’ve found a great selection of villas with pools on the west coast, around St Florent in the North East and Porto Vecchio in the south. There are also child discounts. 6. Sardinia is one of Europe’s great family holiday destinations. The island boasts some of the finest, unspoilt beaches in Europe, plus it has low-cost flights and some outstanding child-friendly hotels including Forte Village and Chia Laguna Resort. See the latest offers. 7. Rent a family villa in Italy. Not just because Italians love children, and children love Italian food, but because it’s one of Europe’s most beautiful countries with a great choice of well-priced rental properties. Go for the rolling hills of Tuscany and Umbria, or the pretty beaches of Campania and Puglia in the south. 8. Or head down to the beautiful resort of Sitges near Barcelona where you’ll find some lovely family villas and historic country houses to rent. 9. Mark Warner operates Mediterranean beach clubs which work well for both very young children and active teens. There are kids clubs for ages 2 to 17 and free watersports. The new Phokaia Beach Resort in Turkey is the best – see the latest special offers. 10. The upmarket tour operator, Scott Dunn, has opened its own Explorers kids clubs at selected luxury hotels in Europe, including Pine Cliffs in the Algarve and Daios Cove in Crete. Aimed at kids aged 4 months to 13 years, the clubs offer a packed programme of activities, adventures and sports. 11. If you’re on a budget, Jet2Holidays has a range of three-star and four-star hotels with water parks in Spain, Greece, Turkey and Cyprus with all-inclusive options and family rooms. You can also find special offers during the school holidays. 12. 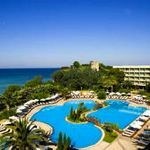 Bulgaria is another great budget option with four-star and five-star family hotels at bargain prices even in July and August. For example, the four star all-inclusive Hotel Laguna Park has its own water park and a kids club for ages 4 – 12. 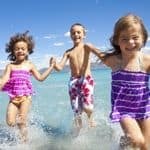 * See more ideas for toddler friendly holidays along with expert advice on travelling with children of this age. 1. Iceland is arguably the world’s most exciting geography lesson. In winter you can view the Northern Lights while in summer you can swim in geothermal lagoons, join whale watching boat trips and experience the Midnight Sun. Take an off-road trip in a 4WD Superjeep to discover bubbling mud pools and erupting geysers. 2. There is plenty to keep children of all ages busy on a P&O Cruise ship. The Ventura was designed with families in mind and offers four-player Scalextric, a Rock School, 3D movies to its very own circus school. Its sister ship, Azura, is particularly good for toddlers. See the latest family cruise offers. 3. A walking holiday can be a great family bonding experience, particularly if you are strolling through lovely unspoilt countryside. 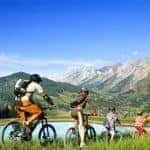 I think the Austrian Tyrol is a perfect location with lush pastures and snow-capped Alpine peaks, well-marked paths and friendly family-run hotels with swimming pools. There is a family option in the Swiss Alps too. 5. Older kids will love these outdoor adventures in Sweden, Norway and Lapland with wildlife safaris, campfires, kayaking and huskies. In summer there’s the midnight sun, wild swimming, canyoning and camping. In the winter you can go husky sledding, visit glacier caves and stay in a wilderness camp on this Northern Lights itinerary. 6. You can introduce your children to skiing – and the beauty of the mountains in winter – from about the age of four. You’ll get a good deal if you choose the right resort, avoid the school holidays and find a special discount. 7. Enjoy summer in the lakes and mountains of Europe with Inghams. Activities include mountain biking, white-water rafting and hiking. There is free child care for children aged 3-10 and great hotels for families including Club Hotel Villa Paradiso in the Italian Lakes and the Garden Hotel Theresia in Austria. 8. If your family enjoys bike rides, how about taking an independent family cycling holiday. 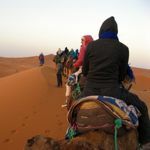 There are itineraries for families in some of the most beautiful corners of Europe – most popular destinations are Mallorca and Catalonia in Spain. Your luggage is transported for you, and there’s a comfortable family-friendly hotel at the end of each day. 9. Indonesia is one of the most exciting destinations for adventure and active family holidays. You could go sailing, fishing, kite surfing, water-skiing, snorkelling and scuba-diving. Check out this idea to Java and Bali which includes an elephant-back adventure, horse-riding, white-water rafting and a volcano trek. 10. Want something different? 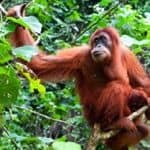 How about a family volunteering holiday where you combine activities and sunshine with useful work such as feeding and building shelters for animals before they are returned to the wild. Download a free guide to making your holiday more meaningful. 11. You’ll find endless activities to keep children of all ages busy at Club Med. It has 46 family-friendly resorts worldwide with clubs catering to babies through to teens and sports including horse riding, golf, roller blading and circus trapeze. See the latest offers. 12. Headwater has hotel-based family activity holidays featuring cycling, walking and canoeing. You travel independently (no group to worry about) in Austria, France or Spain and you can choose between staying at a single hotel and moving to a new hotel each night with your bags waiting for you. 13. 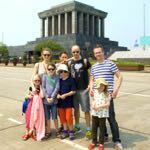 Activities Abroad has a well-priced collection of group trips for families with children of all ages. Options include surfing on Portugal’s Alentejo Coast and abseiling in the Lake District. 14. PGL is best known for its summer camps in England, Scotland and Wales for ages 7 to 17 (hence the nickname “Parents Get Lost”). But it also has a great-value range of activity holidays for all the family in the UK and France. You can stay in a hotel-style room or a chalet. See the latest special offers. 15. In winter, you can take the children to visit Santa in Lapland. This trip includes an igloo experience, wilderness dinner and great chances to see the Northern Lights. 16. Give the kids something to look forward to when winter comes by booking a trip to visit the “real” Father Christmas with Santa’s Lapland. It’s not just for tiny tots – there are loads of outdoor activities like snowmobiling and reindeer sleigh rides to keep older children and teenagers happy, too. 17. Croatia has one of Europe’s most attractive coastlines – along with 1,000 islands. Find your own slice of paradise by chartering a crewed gulet or yacht from Sail Dalmatia which has vessels to suit every budget. See its latest offers. 18. Rent a motor cruiser and putter along the canals and rivers of rural France. No experience is required – staff will show you the ropes – and the boats sleep between 3 and 12. Locations include Brittany, Burgundy, Aquitaine and the Loire Valley. Find out more. See our full recommendations of family activity holidays. 1. Rent a family villa and you get privacy, space and freedom – and usually your own private swimming pool. Head to the “posh” parts of Mallorca and you’ll find some superb villas to rent. 2. The tiny Greek island of Paxos, too small for an airport, is a lovely place to laze around your private pool and rent a boat to explore the coastline. It’s one of my favourite family summer holidays. Find more holiday ideas in Greece. 3. Corfu is a very attractive island once you escape the package resorts. The prime area is the north-east coastline where CV Villas built its reputation with some wonderful houses with private pools, such as Villa Aktea which has breathtaking views, and even a separate swimming pool for toddlers. 4. Another great destination for toddlers is Menorca. Flying times is short from the UK, airport transfers are quick and painless and the beaches shelve gently. Check out these family villas. 5. The Costa Brava has a battered reputation, but there are superb parts. Let’s call it Catalunya. Rent a villa and explore the delightfully rugged coastline. See the latest special offers. 5. Crete is one of the most interesting of the Greek islands with lots to do, charming villages and countryside and a long season. I love the Pendamodi villas – a small collection of detached houses with private pools. They are great value for families. 6. GIC The Villa Collection has more than 40 years experience arranging family holidays in the Greek Islands. It recommends Kefalonia where many of its properties are within walking distance of beach, shops and tavernas. There are direct flights from across the UK. See its latest special offers. 7. On the south-west tip of Spain, the Costa de la Luz is an unspoilt strip of white sand beaches, pine forests and fishing villages. We’ve found some lovely places to stay. The South of France has some outstanding villas. Provence is arguably the most desirable region, though South West France is getting increasingly popular and is very good value. 8. Simpson Travel has a great collection of luxury villas with private pools on the Aegean Coast of Turkey. Check out the three-bedroom Sedir Ev, for example. 9. Arguably, the best way to experience a city is not in a hotel, but in a family apartment. You’ll have more space, privacy and freedom, and it won’t break the bank. You could set up camp in a Parisian loft, a canal boat in Amsterdam or an architect-designed apartment in Barcelona. 10. Another upmarket option is this selection of luxury villas in the Algarve, all of which have private pools. Some even have a private cinema or tennis court. 11. 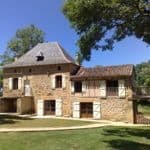 If you’re travelling in a big party and a villa might be too small, why not rent a chateau in France with Oliver’s Travels. It has some outstanding properties including Chateau Gombardy in the Loire Valley, which sleeps 16 and has a swimming pool and tennis court. See the latest special offers. 12. If you want to be on the coast, there’s a good choice of family-friendly villas on the coast of Croatia, many overlooking the clear waters of the Adriatic. See the latest special offers. 13. If you want to push the boat out, check out Scott Dunn‘s luxury staffed villas. The properties are gorgeous, plus you get the services of a chef, host and fully-qualified nanny. 1. It can be tough to find high-quality inclusive hotels at great-value prices. But I’m pleased to be able to recommend IKOS Olivia in mainland Greece. The accommodation, spa and childcare are exceptional. 2. Lanzarote is a year-round destination just four hours flying time from the UK. For the ultimate family treat, check into the Princesa Yaiza Suite Hotel Resort. The children’s clubs offer everything from treasure hunts and five-a-side football to theatrical performances and mini discos. Another great luxury hotel in the Canaries is Abama Golf & Spa Resort in Tenerife. 3. It’s not easy to find a small, classy, family-friendly hotel on the Cote d’Azur, but the three-star Deluxe Hotel l’Arena midway between Cannes and St Tropez fits the bill perfectly. One child under 12 stays free when sharing a room with two adults. 4. On the Greek mainland, Sani Resort is one of Europe’s finest family resorts. It has three superb hotels stretched out along a protected beach, plus a charming harbour with shops and restaurants, lots of sports activities and open spaces where children can run around safely. Families particularly enjoy the Porto Sani Resort. 5. The Westin Resort Costa Navarino in Greece has kids clubs for ages 4-12 and a creche for under-3s. It also boasts water slides, a bowling alley, adventure playground and pool tables. 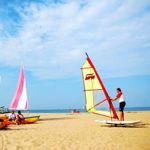 There are two golf courses, a racket ball centre, mountain biking and plenty of water sports from paddle boarding to scuba-diving. 6. The Algarve has a long season, making it a solid choice for Easter, May half term or October half term. You’ll find some great hotels here. 7. I love Daios Cove on the island of Crete. It’s a luxury contemporary-style resort in Crete where Scott Dunn has set up its own exclusive summer children’s club. Each family gets its own private pool, plus there are tennis courts, a fitness centre, spa and three restaurants, watersports and a dive centre. 8. In Cyprus, the Almyra is a stylish contemporary beachfront hotel that excels at catering for families, especially younger children. 9. In Turkey, Simpson Travel has exclusive use of the charming family-run Kalkan Regency hotel, which is superb choice for children of all ages. 1. South Africa is great value right now, because the currency has slumped. This 11-night Kwa-Zulu Natal holiday includes game drives to view the “Big Five” along with spear-fishing, orientation, bush tracking and lessons on conservation and anti-poaching. You’ll stay in amazing camps such as Umkhumbi. You can also enjoy a fabulous safari at a malaria-free game reserve such as Madikwe or Pilanesberg. 2. One of Africa’s best destinations for families is Madagascar where you can track lemurs at night and explore the world’s only pirate cemetery. Check out this amazing lemur tracking safari. If you fancy beach and safari, I recommend this 12-day wildlife and beach family safari in Kenya. 3. South America is a fantastic destination with plenty of wildlife, beaches and natural wonders. For Brazil, Peru and Argentina, I recommend Dehouche, a British-run company based in Latin America. 4. Children love the USA, and there are some great family-friendly ways to see this amazing country. Enjoy the freedom of the open road by renting a motor home. Or rent a car to explore California – most popular route is this eight-night California Classic from San Francisco to Los Angeles via Santa Barbara, Mandalay Beach, Monterey Bay and Disneyland. 5. Morocco also works really well for older kids. It’s only a short flight from the UK and great value. This family favourite combines the Essaouira coast, the Atlas Mountains and Marrakech. On the coast, Rebali Riads is a popular place to stay for families. 6. Asia is packed with eye-opening, exciting destinations for children. Try one of these family holidays in Vietnam, which include the ancient town of Hoi An, the villages of the Mekong Delta and a junk cruise in Halong Bay. 7. Thailand is a wonderful introduction to Asia, and Thai people adore children. Adventures galore await – you could head to the Southern Beaches and Jungle or to Northern Thailand with village bike rides, hill tribe encounters, river rafting and a hot air balloon ride. 8. 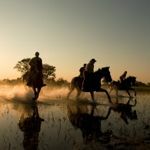 Zambia is a great safari destination for over-12s who can experience the thrill of walking safaris in South Luangwa National Park and white water rafting near Victoria Falls. Stay in a private family villa such as Luangwa Safari House or Robin’s House. 9. Japan is a thrill a minute for kids of all ages, from the futuristic neon-lit cities crammed with technology to the mystical temples and ancient traditions of the countryside. Explore manga and anime, eat strange food from conveyor belts, ride on bullet trains and visit a Samurai castle. See a selection of family holidays in Japan. 10. In Central America, Belize is a thrilling, much overlooked destination that can work for families. Explore has a two-week family group tour in the summer holidays that combines jungle lodges, mysterious ancient Mayan Temples, jaguars, howler monkeys, toucans and parrots, plus relaxing time on the coast with snorkelling and swimming in the Blue Hole National Park. Find more about Belize. 11. Nearby Costa Rica packs a huge punch into a small country with an array of activities including zip lining, white-water rafting, canoeing, horse riding, surfing and rainforest walks. British Airways flies direct and getting around the country is easy with good roads and a reputation for safety and efficiency. 12. 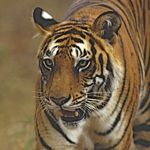 Borneo offers an exciting mix of wildlife, white sand beaches, rainforest, hiking and tribal culture. Spend the night in an Iban tribal longhouse, explore the subterranean caves of Mulu National Park and visit an orang-utan sanctuary. Best time to visit is May to September. I recommend this selection of family itineraries. * See more family adventure holidays. 1. Oman has pristine white-sand beaches (you might see turtles hatching if you’re lucky), but there’s so much more to this ancient country in the Arabian Gulf, from desert dunes to atmospheric souks. Best family hotels include the Al Bandar and the Six Senses Zighy Bay. 2. 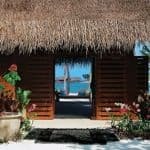 The Maldives are not just for honeymooners. Check out these family holidays in the Maldives with recommended hotels including the fun and quirky LUX* South Ari Atoll and Six Senses Lammu for world-class surfing, plus wake-boarding, scuba-diving and snorkelling. 3. 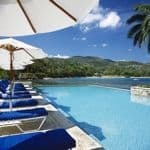 The Caribbean has several great family hotels including Round Hill Hotel & Villas in Jamaica. Beaches Resorts are action-packed all-inclusives with endless things to do. 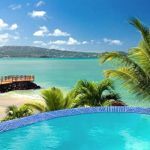 Barbados has a great collection of all-inclusives while Blue Waters in Antigua is highly recommended. 4. Mauritius is a great beach destination with superb luxury hotels and no jet lag, which makes it ideal for young children. For all-inclusive Mauritius, I recommend Beachcomber Hotels which have free kids clubs. Check out Le Victoria which has two-bedroom family apartments. For more ideas please visit 101 Family Holidays. If you need to travel during the summer holidays, see our recommendations for family holidays in July and in August. Also see these money saving tips for family holidays. If you’re still not sure where to take the kids on holiday, why not try this family holiday quiz. Answer 10 fun questions like the one below and we’ll tell you what kind of travellers you are, and give you a list of personalised recommendations. Try the quiz now.